There are so many books to read in this world and life is so short that I almost never reread a book. 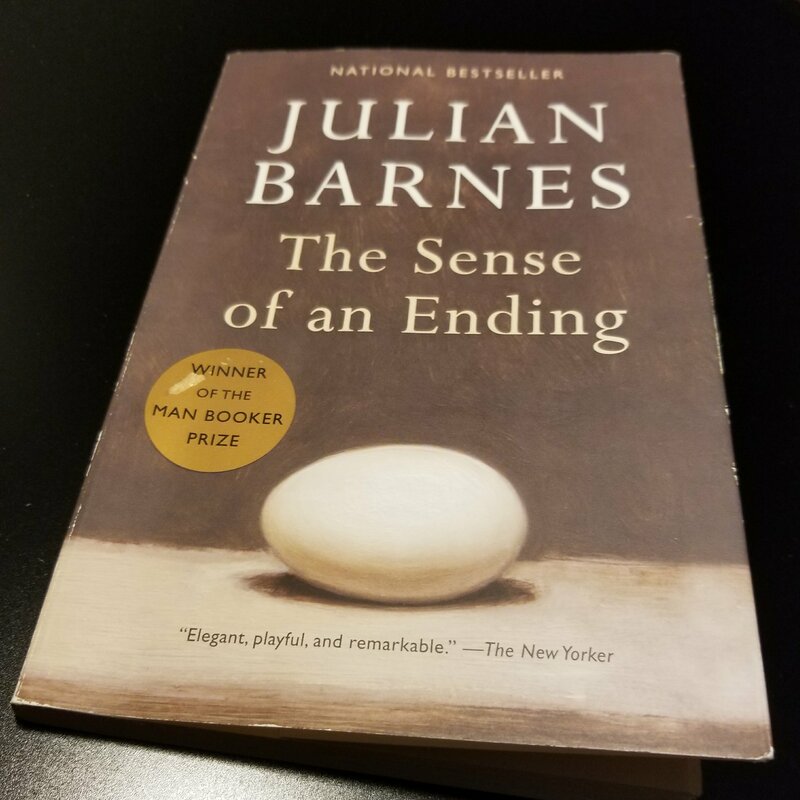 This week, though, I had to reread Julian Barnes’ novel, The Sense of an Ending. I had read it a couple of years ago, then I reread it to get ready for my book club discussion this week. The thing is, though, I have this super power. Or a super weakness. It depends on how you see it, I suppose. I have this ability to forget – almost completely – the plot of the book I’ve read or a movie I’ve seen. Sometimes, I watch a movie and half way into it – a whole hour later – I realize that maybe I’ve seen it? (Yes, with a question mark.) Sometimes I just keep watching… because I don’t remember what happens. When I opened my copy of the novel this week, I was struck by how clean the pages were – no marks, no underlines, no comments. This is not usually how I read. I felt like this was a gift from my past self to this future self to come meet the novel for the first time again. This time, much was questioned (with question marks in the margins), noted (with underlines and asterisks), and commented on (with words like “how?” or “selfish”). That old lesson I learned – the first lesson I learned as someone interested in studying literature – came back to me: look for patterns. Mr. Berkowitz at Wilde Lake High School taught us that one – look for recurring themes and patterns in imagery. Reading Macbeth, we had to write down in our “symbolism journal” every instance of different types of symbols or imagery. It was painstaking. It was beautiful. So while reading this second time around, I complained out loud (to myself – because apparently I had forgotten), “How am I supposed to trust this guy?” And yet, I kept reading, to see what this man has to say and to find out what happened (as he’s trying to figure out what happened) and what happens. It’s like a self-punishing feat, isn’t it? Knowing that the narrator can’t be trusted, you just keep going along because he’s all you got. And that is the beauty of this novel, of course. For me, not remembering the plot, and only remembering the impression that it was mysterious and that it was poetic meant that I was in for a treat with The Sense of an Ending for the second time. This is a novel I’d recommend to friends. It’s smart. It’s full of lines you’ll want to underline. Most importantly, it challenges us to question what we think we remember not only about own own lives (the plot) but also how we remember (or imagine) the ways we impacted the lives of others. In the name of “self preservation” – which Barnes’ narrator claims to be quite good at – what or whom do we save or hurt? When that “sense of an ending” approaches, what will we remember and how? And if we don’t have “corroborators” – something Barnes’ narrator is desperate to find – how will we know what we remember and don’t? By Laura Yoo in Uncategorized on December 16, 2017 .